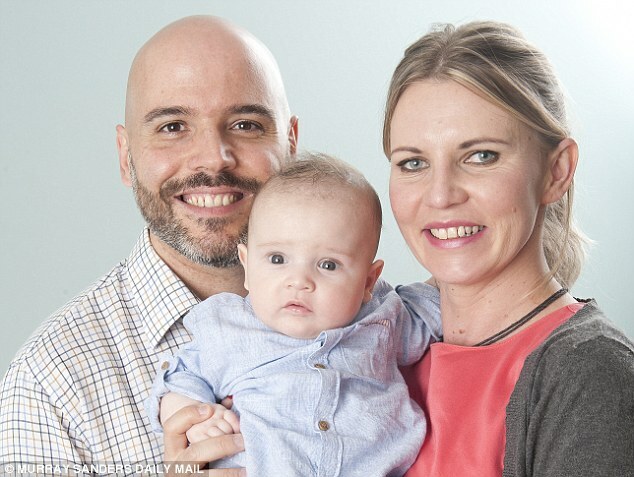 Biagio Russo is the United Kingdom’s first baby born in Oxford using a ground-breaking embryo screening technique which uses the the process of revolutionary In Vitro Fertilization (IVF) technique resulting in better selection of embryos to transfer during the treatment. Next-generation sequencing (NGS), also known as high-throughput sequencing is a procedure that allows doctors to easily choose the embryos which have the strongest chance of growing into healthy babies. Unlike embryos created through traditional IVF this procedure helps doctors to move away from traditional manually count and identify problems caused by embryos produced in IVF having the wrong number of chromosomes. More than half of embryos created through IVF do not have the right number of chromosomes due to which miscarriages occurs. The NGS procedure will reduce the chances of couples having faulty embryos transferred as it can spot embryos that have more subtle DNA faults, and embryos that have only some cells with chromosomal defects. Sergio who was working as a scientist in Britain met Ewa on a visit to Rome and fall in love with her. When they palnned to marry Ewa told that she could probably never have children because of past surgery for peritonitis and an ovarian cyst but someone has said true that love knows no bound and they became couple. They tried to conceive but had no luck. Seeing no other way they went to Oxford Fertility, a partnership of clinics, doctors where the couple was offered NGS trial. The couple’s first cycle of IVF produced 10 embryos, but DNA screening revealed that only three of them had the normal set of chromosomes in their cells. Ewa had one embryo transferred to her womb, and the other two healthy embryos frozen for future use. The trail was successful and Ewa got pregnant. The monthly screenings showed that the baby was growing well. The NGS which was for the first time successfully tested in 2013 has huge potential for improving fertility treatments cheaply as it costs £2,000 to £3,500 on top of standard IVF fees, which is about half the price of existing screening. NGS can give happy family life to many couples across the world as it will help to overcome complications caused in pregnancy due to IVF techniques. It has also opened up new avenues for the study of genomics and molecular biology. NGS is widely expected to replace other techniques used in preimplantation genetic screening (PGS) of embryos to produce healthy babies. The technology can also be used for variety of research applications including transcription factor analysis, gene expression, metagenomics, and epigenetics.